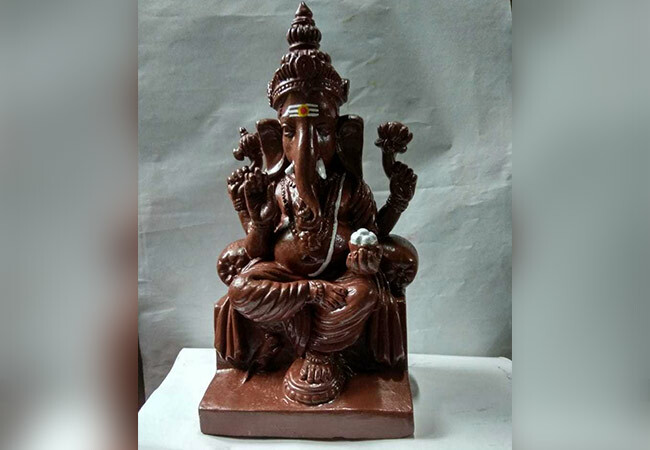 T V Sudhakar, a resident of Mumbai contributed in preventing water pollution in Mumbai during Ganesh Chaturthi by distributing Ganapati idols made from clay for free Ganesh Chaturthi. Ganesh Chaturthi, a festival celebrated to mark lord Ganapati’s birthday and unification of people, is now unfortunately contributing to land and water pollution. From flowers, decorations, fruits, incense sticks to idols made from plaster of paris (PoP) are indiscriminately immersed every year into our water bodies on the last day of the ten-day festival contaminating water bodies. 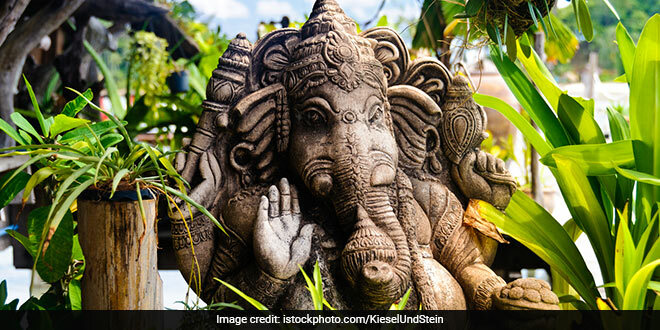 Concerned by the environmental damage caused due to the festival, T V Sudhakar, a resident of Mumbai is doing his bit by contributing first 1,000 idols made from clay for free. Born in Mahbubnagar district of Telangana, Mr Sudhakar, as a child would always look forward to celebrating the Ganesh festival. For him the festival meant delicious food, ladoos, family gatherings and most importantly bringing home beautifully sculpted Ganapati idols. However, unlike the conventional idols that take months perhaps years to decompose, Mr Sudhakar’s town always had easy-to-dissolve idols made from clay. After shifting to the sprawling city of Mumbai in 1994, he was disappointed not finding clay idols and to see the massive volumes of idols immersed in the water bodies of the city. Since generations, idols that we got home were made from clay. We used to spend barely Rs. 5 for the clay idols and on the last day, we used to immerse them in our house. Mud from melted clay was used to plant saplings. I was also getting clay idols in Hyderabad distributed free by some activists. After shifting to Mumbai, I could not find clay idols, Mr Sudhakar, Senior Executive Vice President and Head Compliance at Kotak Mahindra Bank Ltd tells NDTV. It was not until last year when Mr Sudhakar came across a Ganapati idol maker who made idols from clay. After testing the clay idol last year in his own house, he decided to spread awareness and promote clay idols this year. Mr Sudhakar has now collaborated with the same idol provider, Mr Kasi Viswanath to educate and encourage people towards eco-friendly Ganapatis by distributing them for free. The clay idols are handmade and no chemical or toxic elements are used in the making. Paints are not used as they contain lead and mercury, explains Mr Sudhakar. Mr Sudhakar is using social media and word of mouth to spread awareness about his initiative. He is meeting all the costs including taxes but is distributing for free as he believes it is for the greater good. In the name of celebrating festivals, we are polluting air and water. Thousands of idols are immersed every year in our oceans / lakes / water bodies across the country. For big pandals, the clay idols are not feasible due to the rains, but we can certainly make a switch when it comes to household Ganapatis. Even if all the households in Mumbai turn to eco-friendly Ganesh idols, it will be a huge relief to our mother earth, says Mr Sudhakar. Previous Post: This 31-Year-Old Swachh Warrior from Maharashtra has cleaned 11 Waterfalls till date. Next Post: 25-Year-Old Engineer Ramveer Tanwar is set to Revive Lakes In Uttar Pradesh.